It must be a huge relief to UFC and ESPN executives alike that both of the ESPN cards have lived up to the hype. 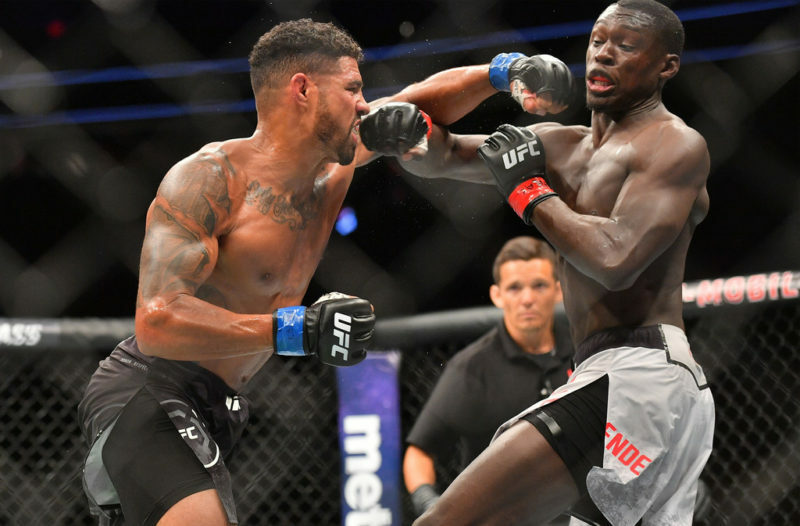 The UFC on ESPN debut was an incredibly fun showcase of mixed martial arts talent, and UFC Fight Night 144 was no different. 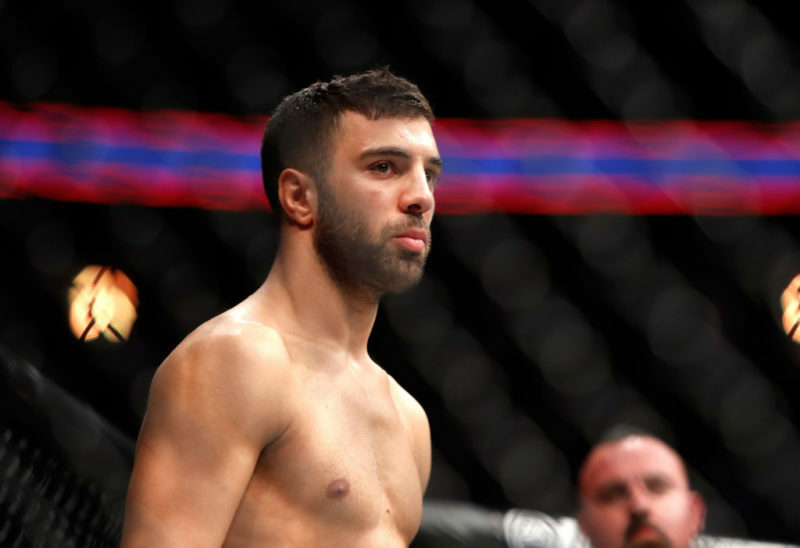 The main event was a highly anticipated rematch between bantamweights Raphael Assuncao and Marlon Moraes whose first meeting resulted in a close split decision victory for Assuncao. This time, however, neither the victor nor the method of victory would repeat itself as Moraes was able to utilize his superior striking speed and powerful submission grappling skills to finish Assuncao in the first. 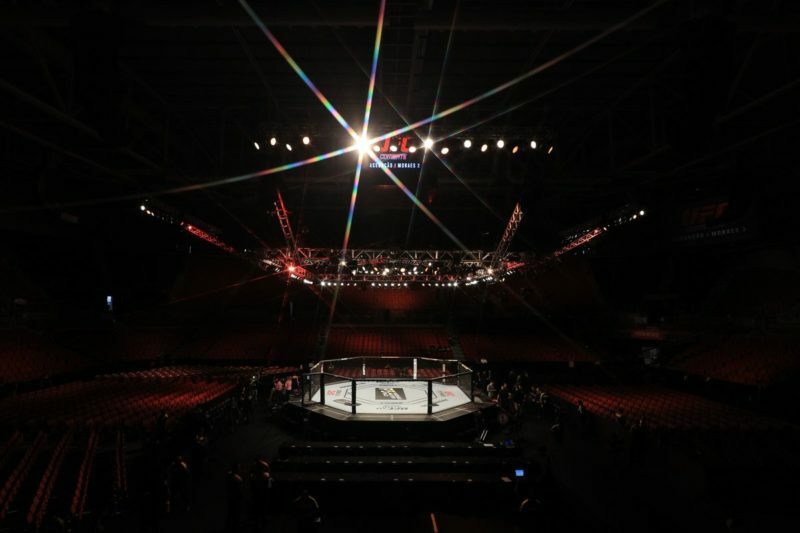 The beginning of the end for Assuncao came when Moraes knocked him to the floor at the two-minute mark of the first. One theme of the first bout that was still prevalent was Moraes’ superior speed. 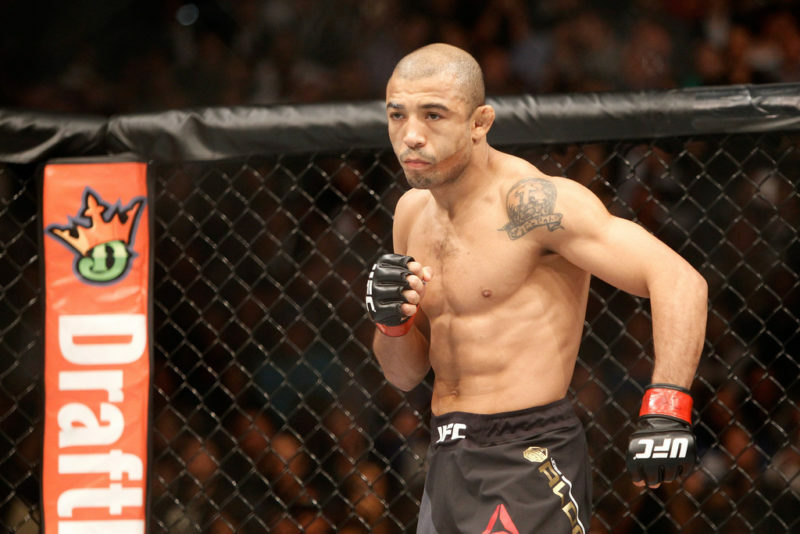 In both fights, Moraes was substantially faster than Assuncao, and this time it manifested with consequential results. Two lighting-fast overhand rights, one on the chin and the other behind the ear dropped Assuncao to the mat. Moraes immediately pounced on his opponent with a flurry of vicious ground and pound as Assuncao pulled him into Closed Guard in an attempt to stop the onslaught. 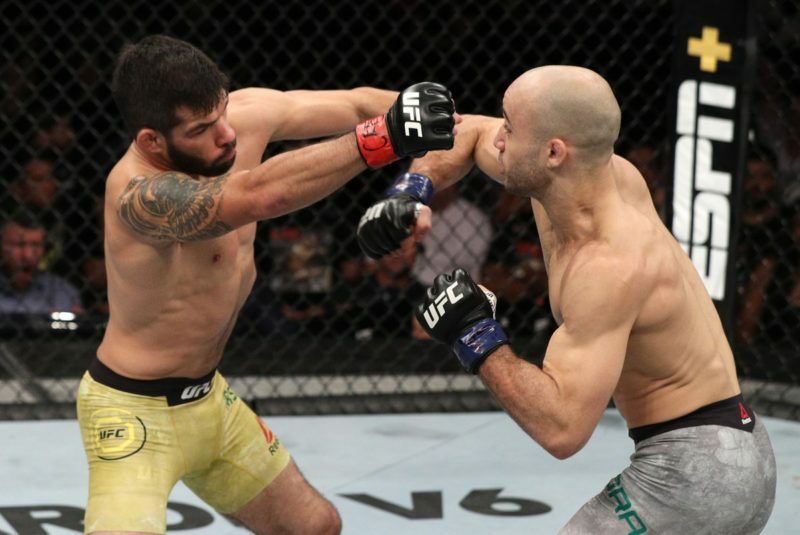 Finding himself on his back and recognizing he needed substantial actions to reclaim the round on the judges’ scorecards, Assuncao decided to open his guard and start attacking. Assuncao unlocked his legs and placed his feet on Moraes’ hips, a move that would allow him to start making angles and attacking with armbars and triangle chokes. Moraes immediately countered by stuffing Assuncao’s leg and passing to half guard. Notice at the end of the above clip that Assuncao moves his right leg into a butterfly hook position. Moraes passed to half guard while he had the underhook, which would allow him to keep Assuncao pinned as he inflicted damage. As a classic hip escape is difficult if the guard passer has the underhook, Assuncao elected to use a different method of halting Moraes’ pass – the butterfly guard. He quickly inserted his right leg into a butterfly hook, which allowed him to move to a full butterfly guard. Butterfly guard is a very useful tool for stopping an aggressive opponent such as Moraes, as they can not simply “rip” their knee through to pass like they can in half guard. Also, butterfly guard allows the guard player to sit up into the passer, taking away the space necessary to throw strikes. Assuncao elected to attack with a butterfly sweep, elevating his opponent with his left leg in an attempt to sweep to his right. Assuncao stopped Moraes’ from defending by grabbing his left tricep, preventing Moraes from basing out to defend. Recognizing that his center of gravity was compromised leading to the potential of being swept, Moraes executed a hip break by switching the angle of his hips and deflecting the energy of the sweep. Notice in the below clip how Moraes moves his right leg over the center line of Assuncao’s body, deflecting the energy away from his hips and avoiding the sweep. The hip break is an expert guard passing mechanic, popularized by the legendary Demian Maia who has used it extensively throughout his career. As the butterfly sweep is executed by elevating one of the opponent’s legs, “turning” their hips so that they fall to their back, the hip break defeats this by deflecting the butterfly hook across the body, stopping the hips from being turned over and preventing the sweep. Moraes simultaneously prevented the sweep and learned valuable information about how his opponent utilized the butterfly guard. This exchange gave Moraes valuable insight that he would shortly use to end the fight in a spectacularly violent fashion. Having his sweep attempt nullified, Assuncao elected to shift tactics by returning to full guard. After a few unsuccessful attempts to gain the angle necessary to attack from closed guard, he moved back to the butterfly guard, establishing the hooks and sitting up into his opponent. This is where Moraes moved in for the kill. While most variations of full guard protect the guard player from strangles, the butterfly guard does not. As the guard player’s head is close to the passer, and not far away like a closed guard, utilizing the butterfly guard provides the opportunity for the passer to grab a front headlock which can lead to submissions or guard passes. As Assuncao elected to use an underhook for this butterfly guard attempt, Moraes was provided the opportunity to overhook the arm, establishing an arm-in guillotine. While a standard guillotine choke is considered to be a more powerful finish, the arm-in guillotine is vastly more secure as the victim has to free their arm, shoulder, and head from the lock, as opposed to just their head. Having secured the powerful guillotine grip, Moraes pulled Assuncao up to his feet, pulling guard and immediately rolling him to the incredibly powerful mounted guillotine position. From here he applied the squeeze, forcing Assuncao to tap and moving the pair to an even 1-1 record against each other. Below is an excellent video of Kent Peters explaining how the guillotine choke can be used to counter the butterfly guard. Note, in this video Peters finishes the strangle while the victim is still in the guard, while Moraes’ finish came from pulling guard and sweeping to mount. The setup and mechanics are identical, just slightly different variations of finishing. 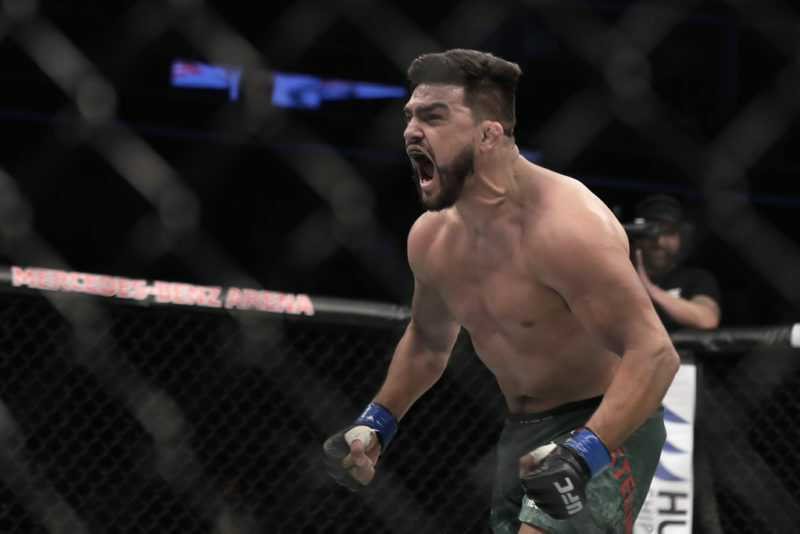 Not only was Moraes’ victory a display of masterful martial arts technique, but it showed just how fast he is improving. Having lost to Assuncao less than two years ago, to be able to finish him in the first round as he did shows that he is getting better at a breakneck page. 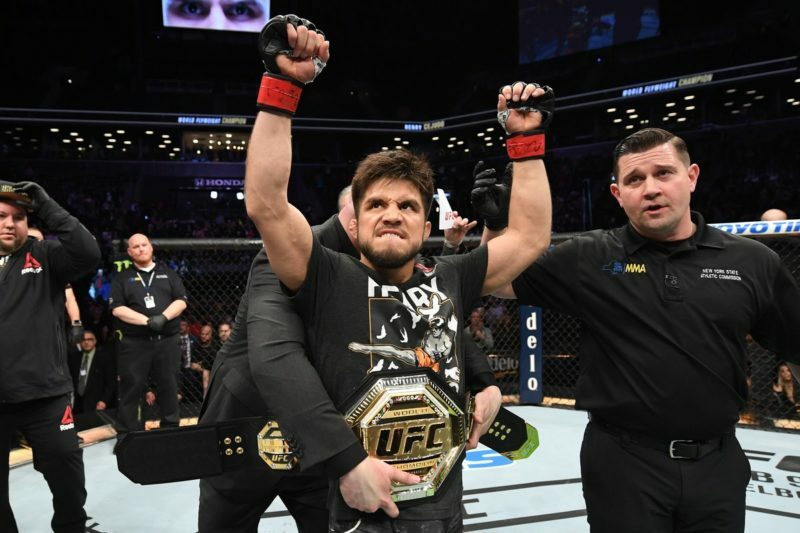 While the bantamweight champion T.J. Dillashaw is lobbying for another shot at fighting Henry Cejudo, this should not distract from the fact that the 135-pound division is stacked with dangerous contenders such as Moraes. 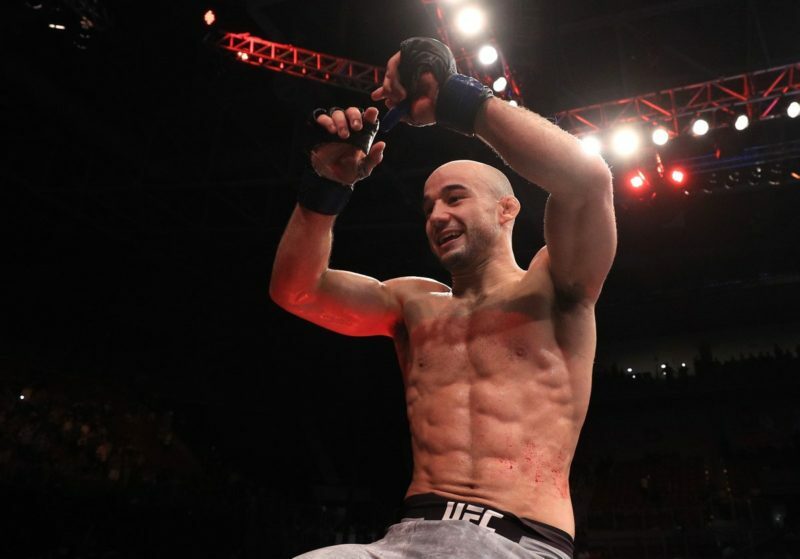 Regardless of whom the champion fights next, with this victory Marlon Moraes proved he is a contender for the belt.